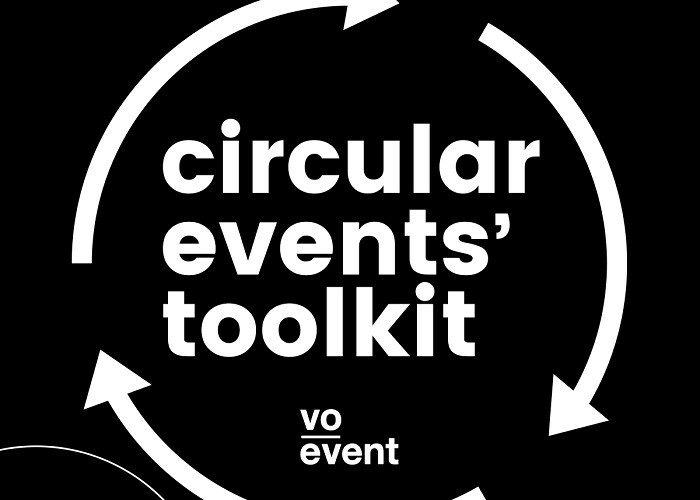 At the start of March, in partnership with communications agency SENSE and Emmanuel Mossay – an expert in the circular economy – VO Event was named the winner of Brussels Environment’s “Be Circular” call for projects with its proposal for a “Circular Event Toolkit”. This toolkit is a collection of the techniques needed to run an eco-friendly event and will be available to the entire Belgian events industry from late 2019. Spurred on by their belief that there is still a long way to go environmentally within the events sector, VO Event, SENSE and Emmanuel Mossay have once again succeeded in a hard-hitting collaboration. This toolkit will give VO Event the chance to put its money where its mouth is. A team of interns and one member of staff will put words into action by ensuring that the various tools are suitable for the entire VO team so that they can then be rolled out to the entire Belgian events industry. The toolkit has already been under construction for a year and will help determine which Reuse, Repair and Recycle actions (the 3Rs) need to be taken at each stage of organising an event. Each of the VO Group agencies will benefit from the chance to offer their clients more sustainable events solutions by employing the principle of the circular economy, which encourages different consumers to share resources and avoid buying multiple under-used resources. To assess how sustainable an event is, a list of different items has been drawn up. This list can be used to calculate a weighting between the awareness-raising potential, the use of single-use items, how easy it is to implement, the environmental harm caused and the development potential. As a result, it will be easy to see where efforts need to be stepped up to make an event as sustainable as possible. There are numerous examples already available, although VO Event is still in the test phase ahead of delivering a comprehensive analysis at the end of the year. And as well as this collaboration being perfectly in line with the VO Group’s values, it gives the trio yet another chance to rewrite the rules – something Brussels Environment will certainly not regret! “In a world where ethics and environmental responsibility are always on our minds, and at a time when there is a constant increase in the number of citizens’ movements crying out for concrete action, VO must lead by example. Sharing these tools with the entire sector under a free licence is just one of the agency’s contributions to sustainable global development,” explains Alexandre Velleuer, VO Event Managing Director.